EAW048390 ENGLAND (1953). 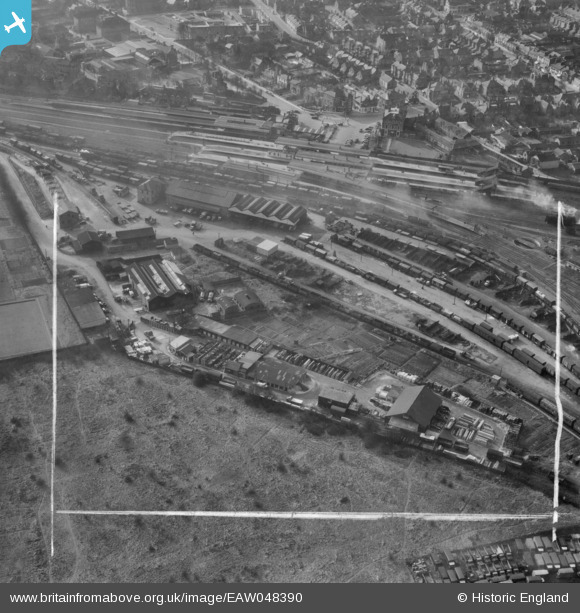 Pratt Ltd Works at Watford Junction, Watford, 1953. This image was marked by Aerofilms Ltd for photo editing. Pennawd [EAW048390] Pratt Ltd Works at Watford Junction, Watford, 1953. This image was marked by Aerofilms Ltd for photo editing. Mess & tool vans possibly Signal Engineers Dept.